Most posters in this thread are looking at it as a gaming card. It's entirely possible that it's true that this card is both a terrible value as a gaming card, but an incredible steal if used for compute purposes. This is good enough to stay relevant than absent, for which they'd have taken much more flak. Now question is, do you buy this, custom 2080 which is decidedly more expensive, or 2080ti which is in a price bracket of its own. Apart from perf for the money this makes a lot of sense if you can potentially use compute, or game in Linux and so on. I probably will tinker with it when not gaming, and see if I can learn a thing or two. You keep saying rtx 2080 is far more expensive and people keep showing you it isn’t. There are multiple boards from multiple makers on Newegg at the same price as this card. Also, I suspect that Radeon 7 is pretty good at Ray tracing. Wouldn't it be interesting, if Radeon VII is actually somehow BETTER at RT than comparably-priced NVidia cards? I'm not saying it is, but when AMD gets their DXR driver stack done, do you think that's possible? If that were the case, you would think that AMD would have said something about it just to rub salt in the wounds. Maybe they're a long way off on the software side still and are waiting until Navi is shipping. I suppose anything is possible, but I wouldn't count on them being anything more than just okay. I'm thinking it may be better than Volta, but who knows? I did get the distinct impression that AMD was holding things back. Radeon VII does seem to have enormous computational potential versus its apparent gaming performance. Whether or not that would translate into good real-time raytracing performance remains to be seen. Those tensor cores are good for something . . . and Radeon VII doesn't have them. 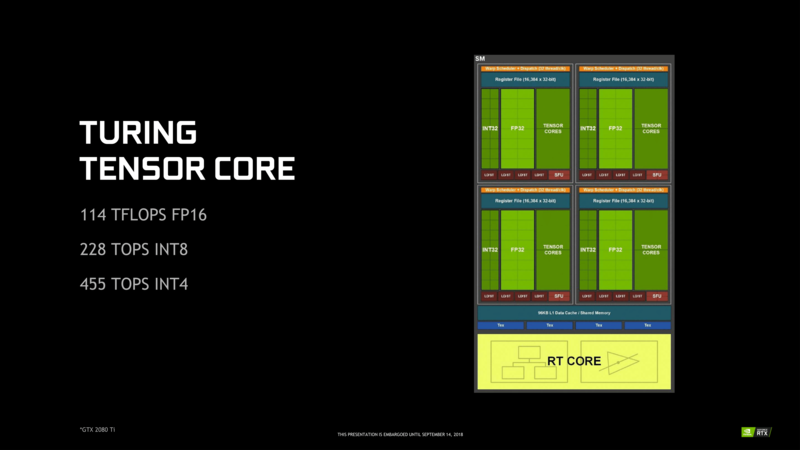 Tensor cores is a Marketing name for FP16 and INT16/8/4 , nothing more than AMDs Rapid Packed Math (FP16) and INT 8-bit QSAD. ?? Tensor cores are dedicated bits of hardware used for some very specific bits of calculation which they speed up massively. Ditto the dedicated ray tracing units. The answer to the question posited, is no, of course not. Its at performance parity at best in normal games, and the RTX have a huge chunk of their die, and the overall GPU design, specifically designed to speed up RT performance. You don’t need to like NV to see that it is profoundly unlikely that they wasted that effort. AMD might be able to duplicate it given time and effort, unlikely immediately you’d think. I just read the interview, thanks for the link. One thing that stuck out for me was the chart used said PCIe v3.0, so apparently not 4.0 as thought by some. Honestly it should not matter yet, not for this card. Another thing I noticed, they still did not clarify much on the different cooler designs, just that the reference design would be the triple fan design shown. Hopefully it has good performance, and I wonder if there will have non reference versions sold. Based on what was said, it sounds like the AMD board partners' cards may be released at a later time? It was mentioned of course the VII would be sold directly from AMD for MSRP. Then it would be instructive to see which products have the fastest FP16 throughput. Rapid Packed Math is packing two 16 bit value in a 32 bit register, to do double FP rate when doing the lower precision operations. Tensor cores are matrix multiply/convolution engines customized for AI. Customized Tensor HW offers something like an order of magnitude efficiency improvement in those specific applications over generic HW. Seems most compute is intact. I sadly have no use for such though. Also checked 4k results AMD shared and save gameworks titles, it doesn't look too shabby. Now waiting to see benchmarks on release, will likely buy. "I almost jumped out of my chair when I found a reddit thread claiming that the card did in fact support FP64. We reached out to AMD’s Director of Product Marketing Sasa Marinkovic to inquire whether or not the FP64 inclusion was real, and were told quite simply that “Radeon VII does not have double precision enabled.” That means instead of delivering 6.7 TFLOPS of FP64 like the MI50, Radeon VII will be closer to ~862 GFLOPS (it’s 1:32 with half-precision like RX Vega)." RX Vega has 1:16 FP64. Ryan said in the reddit thread on this topic that he was told differently before the event. We reached out to AMD’s Director of Product Marketing Sasa Marinkovic to inquire whether or not the FP64 inclusion was real, and were told quite simply that “Radeon VII does not have double precision enabled.” That means instead of delivering 6.7 TFLOPS of FP64 like the MI50, Radeon VII will be closer to ~862 GFLOPS (it’s 1:32 with half-precision like RX Vega). Wow. AMD is going to sell at least some of the Vega 7 stock directly from AMD.com so it will be guaranteed MSRP. Given the confusions about the Rops, I wouldn't be remotely surprised if they were confused about the DP performance too. Rather disorganised though! 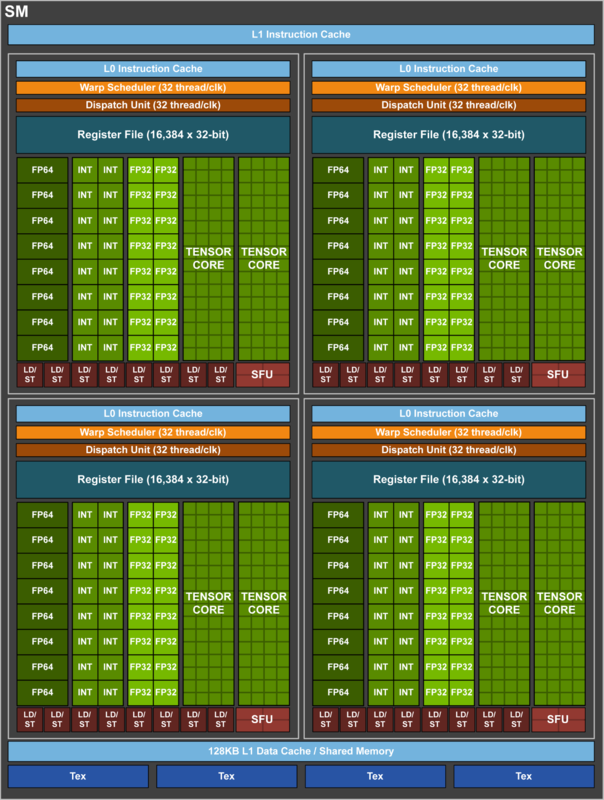 Did anyone ever do extensive testing of the HBCC on Vega to determine if it could saturate PCI lanes. I don't think it's something of any worry (or use) for a card with 16 GB of VRAM, but for anyone using it for compute workloads it might be an issue. I just don't recall if anyone ever did a deep dive into HBCC and explored the limitations or where the bottlenecks were at. It about par and better in 4k than rtx 2080 but in gameworks titles, and people were panning it when it is cheaper than some custom 2080s. They still are some way from Navi and better to have a product that everyone talks about, than being talked about for your absence. Besides how many will have had bought it at $1000 plus price point is anybody's guess. I'm sure AMD has run the numbers and decided they could live with the price point. Will it stick? Time will tell. Most posters in this thread are complaining about the price being too high already. Yeah, price too high for a "Gaming" card but a steal if its a "compute" card. This is sort of what I meant by my comment. This isn't anything like the 4870, which was a simple, effective and competitive card compared to NVIDIA's offerings. This is AMD going all out with what they have to work with and offering the same performance, at the same price that NVIDIA has for years. Vega simply isn't a great gaming architecture. They can't price it past the 2080 and even price parity is asking a lot given performance parity when NVIDIA is simply THE name in GPUs. AMD hasn't been exciting since the 7970 (the last time AMD had a spot in my primary box). AMD probably doesn't care because they aren't expecting high volume anyway. Hopefully Navi changes that and we see a modern gaming architecture instead of them trying to shoehorn a compute based architecture into gaming cards. If you're in need of compute heavy cards these may be awesome, but that's pretty niche. My comment regarding HD 4870 Redux is based on the previous info that Radeon 7 would have full DP function, thus it be a "Titan Killer", ie a $700 card that would steal sales from AMD's own $1,000+ cards and most importantly NV's $2,000+ cards. My comment was more so "do you guys really think after watching AMD price this right around RTX 2080, that AMD would leave thousands of dollars on the table if their actual target was MI/Titan tier?" Something was fishy, and more info is revealing that something isn't right. It makes more sense for a $700 purely gaming focused card to battle another purely gaming card. But still, you keep reading posters expecting AMD to basically give away performance/features/etc at their expense. They already had confirmed that they disabled pcie 4 and some other features, including driver support which are present on their pro cards. Obviously someone looking for that featureset would likely buy that product. I'd think that is enough to deter those who may try and buy multiple items. It makes sense to not try and actively change much, because then you can reduce time it takes to bring something to market. Then again, more info is more info and it came from someone at AMD, but that was into then, and we have more info now. Ah, gotcha, yeah that makes sense. Well, most of the AMD fanatics are also the biggest cheapskates in the world so they expect ground breaking performance at used hardware prices. Meh, AMD is a business and needs to make money, they won't see many sales with Radeon VII but they don't need to either. Meh, AMD is a business and needs to make money, they won't see many sales with Radeon VII but they don't need to either. It's not a matter of cost, it's what you can get for that cost. This is AMD charging $700 for performance levels you could get for that price almost two years ago. This card was never meant to be a big seller. It's just something that AMD needed to shove out for their CES keynote so they could tick the 7nm GPU box. If they had a ~$200 Navi part that would be ready for market within the next 3 - 4 months, they probably would have showed that off instead, even though it wouldn't be a top market card by any stretch. They'll make far more money by delivering an affordable mass market card in volume than they will trying to pump out performance-crown chasing products that can't get there. Would be great if it's a compute beast. Attacking the competition in the lucrative markets while offering competitive products at attractive prices hurts them more than AMD loosing a little profit.